Here on this page you'll find an overview of all My Little Pony Fun Pack Series 1 Issue νm; 2 Comic Covers, with a total of 1 release. You can click on the Fun Pack Series 1 Issue νm; 2 Comic Covers images to zoom in or click on any of the links under the images to see more releases of that type. Summary: Each collectible Micro-Comic Fun Pack features a new gatefold cover illustrated specially for this format by artist Chris Meeks and a full stand-alone story printed on heavy matte stock as well as several collectible blindly packed components. 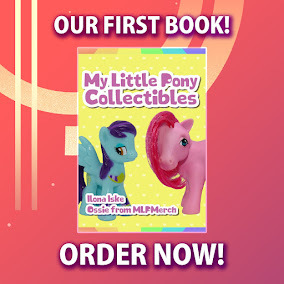 The issues collected in this set are My Little Pony Micro-series stories highlighting Fluttershy, Celestia, Luna and Rarity. There are also step-by-step instructions to learn ''How to Draw'' the ponies and a dual-page spread that allows fans to use their stickers to create their own pony play scenes! Plus, each comes with a fold-out micro poster (1 of 8), a sticker sheet (1 of 8), and collectible temporary tattoos (1 of 8). Collect all four My Little Pony: Micro-Comic Fun Packs!